Red kite Milvus milvus, photographed by Juan. 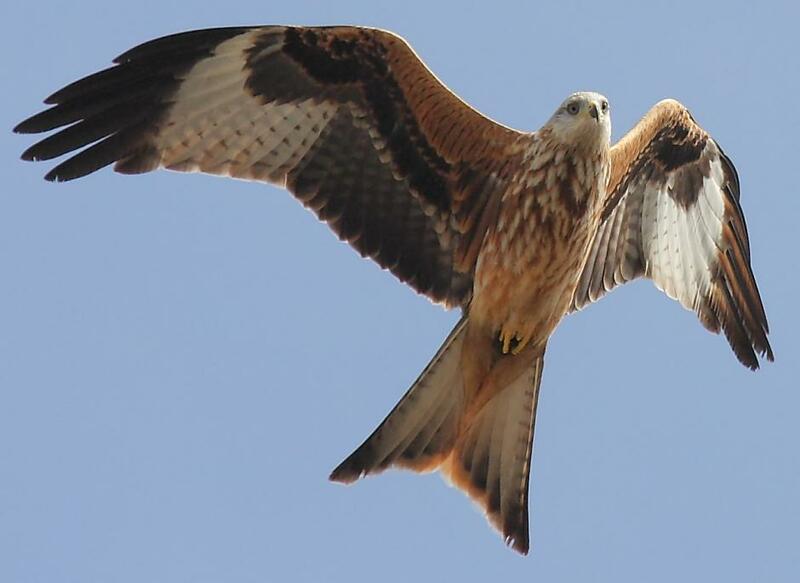 The Milvinae are a cosmopolitan group of medium-sized kites. Milvines are predators of small animals, including insects and molluscs; many species are also scavengers. [Do66] Dohrn, H. 1866. Synopsis of the birds of Ilha do Principe, with some remarks on their habits and descriptions of new species. Proceedings of the Zoological Society of London 1866: 324-332. [Dr66] Dresser, H. E. 1866. Notes on the breeding of the booted eagle (Aquila pennata). Proceedings of the Zoological Society of London 1866: 377-380.